Tuck's postcard approximately 9 x 14cm. Part of the 'Regimental Badges And Their Wearers' series of cards. 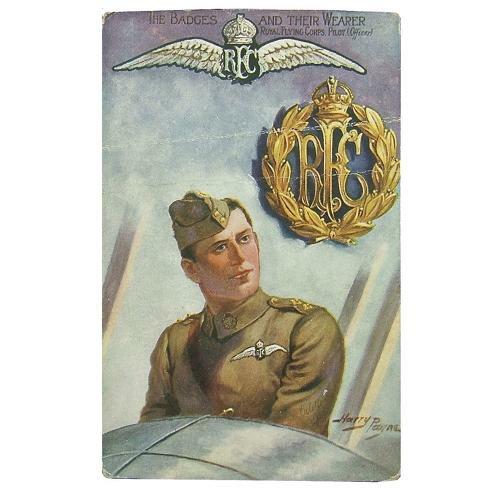 Nicely illustrated with a RFC pilot wing, badge and a pilot in uniform. Creased and a little dog-eared at the corners. Stock code RFC.